We’re excited to announce that the first stage in our integration with Land Registry Business Gateway has gone live. We have also listened to your feedback and added some great new features and improvements and have a new search provider to welcome on board. Read on to see what we’ve been up to and log in, the updates are ready for you to use. If you have any questions or feedback then please get in touch. 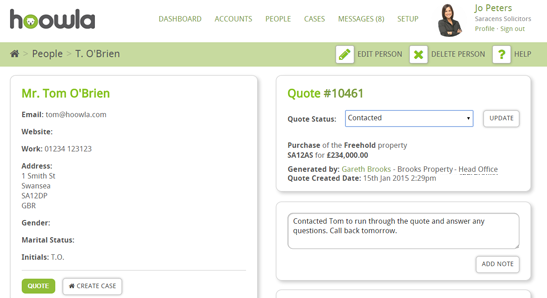 We’ve made it easier for firms using our conveyancing calculator to manage new clients and referrals from introducers. Use our new quote statuses along with activity notes so you know exactly where potential clients are in their decision making helping you to focus on winning that instruction. We would like to welcome The National Search Service as our latest integrated search provider. 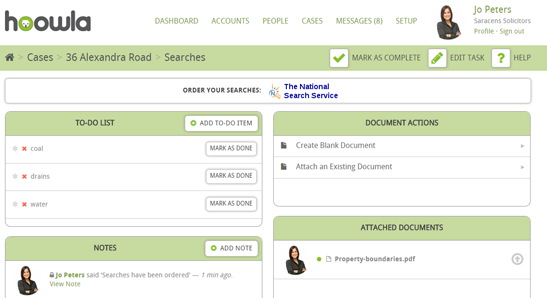 Users of NSS can now order searches directly from Hoowla and have them automatically uploaded to their case. We’ve enhanced our quote calculator to provide you with even more information about where your new clients and referrals came from. 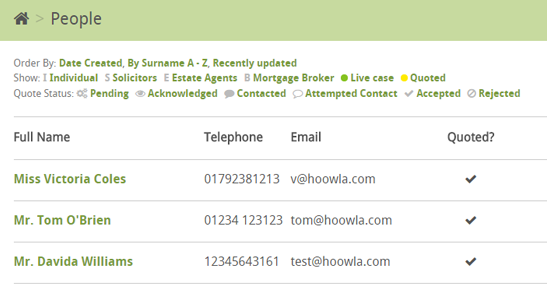 Create unique buttons for introducers and your own website, all linked to the same costs in a single Hoowla conveyancing calculator making it much easier to manage.